As far as the classics go, you can’t beat Sorry!, Twister or Operation. Also, does anyone else remember Back Off! Buzzard? My sister and I LOVED that game! Because every girl needs a pair of snowman leggings. I wish I could get these in adult size (and not look like a crazy person). Can we please talk about how cute this sweater is for little boys? Ugh! For the little girls who love clothes, these fashion plates are a great gift idea. I used to have something similar and absolutely loved it! Give the gift of Play Doh with this 36-can mega pack. Every kid’s dream! Beautiful gift ideas for kids! I love this! Thank you for doing a gift guide for kids. I never know what to get for my niece and nephews! Ah what cute picks! I love that little dress. 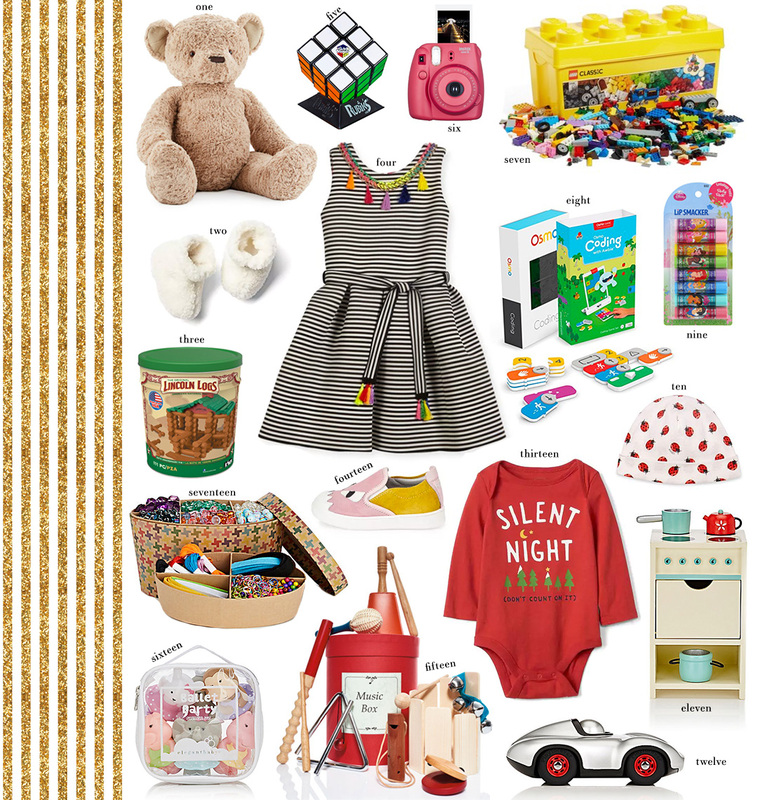 How fun is this gift guide!? Great ideas for my niece and nephew.